The BGAN Service Plan includes 3 MB and gives you the power to access the internet and send and receive emails, SMS messages and voice calls from anywhere your travels take you. This plan is perfect for those looking for a basic satellite data plan at an affordable monthly rate without the need to refill airtime. At BlueCosmo, you'll always enjoy great prices and the ease of checking your airtime usage online. Note: All service plan SIM cards are activated when your order is processed. Inmarsat uses three geostationary satellites to provide coverage almost anywhere. Each covers up to one-third of the Earth’s surface, and coverage extends from latitudes* of approximately -82° to 82°. 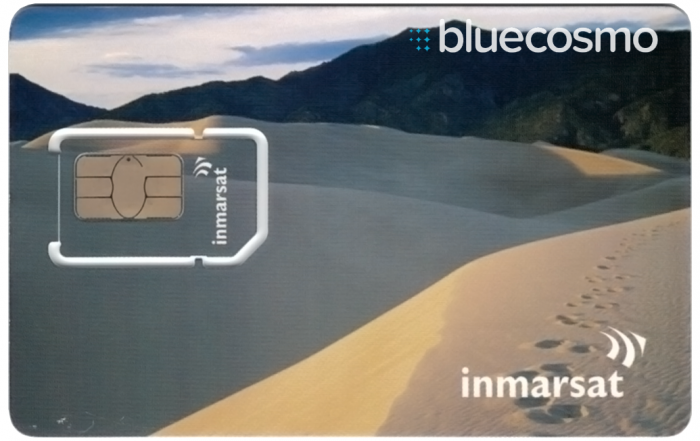 This map depicts Inmarsat’s expectations of coverage and does not represent a guarantee of service. The availability of service at the edge of coverage areas fluctuates depending on various conditions. *National regulatory conditions may apply. Coverage does not extend to the poles. Regional coverage includes Canada, the continental U.S. and 12 nautical miles into coastal waters (excludes Hawaii and Mexico). Cancellations on month-to-month subscriptions are billed to end of your current monthly bill cycle date.